Iridology is the science and study of pathological and functional disturbances in the human body, which are indicated by abnormal markings and color changes in the iris of the eye. It reveals inflammation, where it is located and the stage of manifestation. 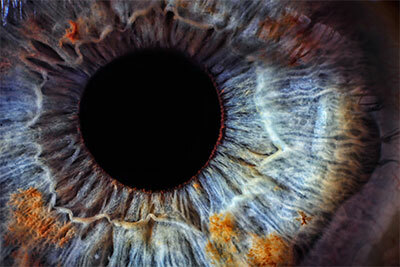 Bodily conditions as they relate to inherent weaknesses, levels of health can be diagnosed through Iridology. It is a diagnostic tool started by German Doctors in the last century, and has become a popular tool used by Naturopathic practitioners to help identify the location of inflammation, weaknesses, and toxicity in the body. As you can see from the picture of the iris, sections have been identified as representative of body parts and systems. 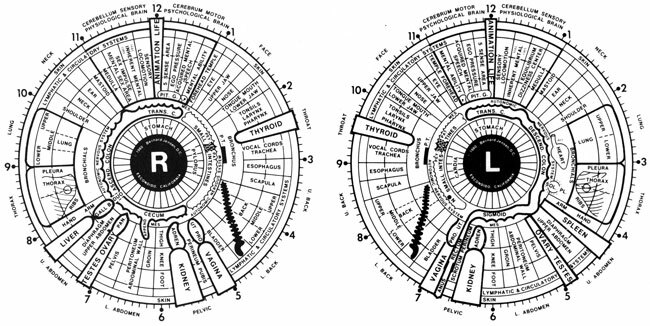 After seeing tens of thousands of irises these Doctors agreed upon and put together a system known as iridology, or eye diagnosis. It is quite exact in its diagnosis, such as pinpointing precise parts of the body and problems that may exist.